NADAV MORAG is the chair of the security studies dept. at Sam HOUSTON state university and is a faculty member at the Center for Homeland Defense and Security (CHDS), US Naval Postgraduate School. At CHDS he teaches courses on policy analysis and research methodology as well as a course entitled "Comparative Government for Homeland Security." 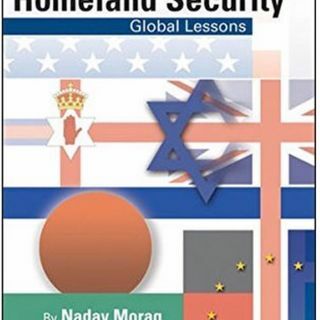 He has authored articles on terrorism, strategy, and the Middle East, including "The Economic and Social Effects of Intensive Terrorism: ... See More Israel 2000-2004" (Middle East Review of International Affairs) and "Measuring Success in Coping with Terrorism: The Israeli Case" (Studies in Conflict and Terrorism). He previously served as a senior director at Israel's National Security Council where he was responsible for developing policy recommendations in areas of national security for the prime minister and the cabinet.